Credit: SpaceX. Download this image (JPG, 1.2 MB). [29-Dec-16] NASA has selected Space Exploration Technologies (SpaceX) of Hawthorne, California, to provide launch services for SWOT. 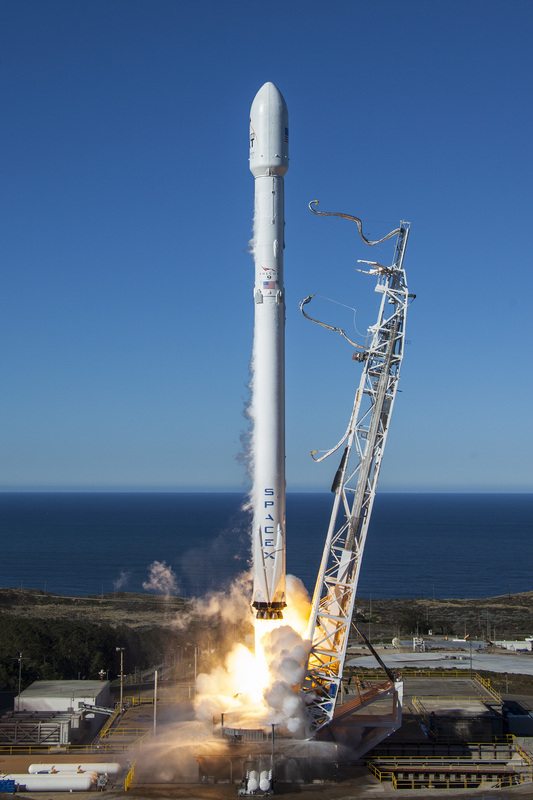 Launch is targeted for September 2021 on a SpaceX Falcon 9 rocket from Space Launch Complex 4E at Vandenberg Air Force Base in California. NASA's Launch Services Program at Kennedy Space Center in Florida will manage the SpaceX launch service. To learn more about SWOT's latest progress towards launch, visit the Flight Systems and Ground Systems pages.